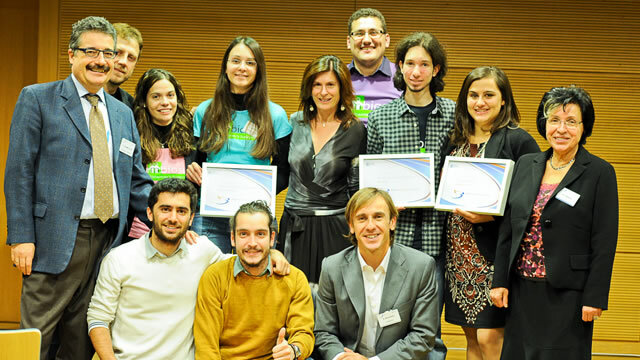 The EIB Institute has held its first Social Innovation Tournament. The final selection and award ceremony took place on Thursday 29 November 2012 in Luxembourg. The 2012 edition focused on innovation to fight social exclusion. The selection panel chose the “Best European Social Innovators” for projects at the conceptual stage (Line A) and projects under implementation (Line B). Hand-in-Scan, presented by Tamás Haidegger from Hungary, won the first prize in Line A for its hand hygiene system based on digital imaging technology for the direct control of hand washing efficacy in the medical environment. Piano C, presented by Riccarda Zezza from Italy, won the first prize in Line B. Piano C proposes a new organisational model, which, by sharing and combining different resources (office in a co-working space, sharing of meeting rooms and other office logistics, mentoring and career development, sharing concierge services), aims to foster the inclusion of talents marginalised by current working rules and prejudices. Symbiosis, presented by Leontios Hadjileontiadis and Kiki Kaza from Greece (second prize, line A), has developed an Alzheimer’s support system aimed at creating a novel environment for facilitating, understanding and incorporating the needs of the whole Alzheimer’s community (patients, caregivers and doctors). Webicina (second prize, line B), presented by Bertalan Mesko from Hungary, proposes a new service focusing on curating social media resources in medicine and healthcare by crowdsourcing in medical communities and making the content available in over 17 languages in a free-access platform. Mobilearn, presented by Ernest Radal and Claes Persson from Sweden, received a special mention from the Selection Panel for its mobile service designed to enable faster integration and establishment in Swedish society of people who have arrived in Sweden with little, if any, knowledge of Swedish and/or Swedish social behaviour. Two projects – Politeia 2.0 (Stephania Xydia and Alexandros Noussias) and Symbiosis, both from Greece – were voted ex aequo by the audience as the two best projects. Politeia 2.0 is a social platform (physical and online) proposing a new approach to democracy designed to creatively address current challenges. The Social Programme of the EIB Institute encourages social innovation and sponsors entrepreneurs whose primary purpose is to generate a social, ethical or environmental impact. Projects are typically related to unemployment, marginalisation of disadvantaged communities and access to education. The tournament seeks to promote the generation of innovative ideas and identify/reward opportunities promising substantial societal benefits or demonstrating best practice with tangible, scalable outcomes. It targets the creation of social value in the fight against social exclusion and is open to projects that fall within a wide range of fields, from education and healthcare to the natural or urban environment, from new technologies to new systems and new processes. The Tournament ran in two rounds. In the first round, a screening committee of EIB Group experts in innovation and other relevant disciplines selected 16 finalists, who were invited to present their proposals in front of a selection panel during a second round in Luxembourg on 29 November 2012 (please click here for the 16 presentations). “Although this Tournament was the first of its kind, it attracted a lot of interest. This shows both the relevance of the topic selected and the great potential for innovation that is available. Following the success of this year’s event, the Institute will organise the second edition of the tournament in 2013. The event will take place in Budapest, Hungary, on 17 October 2013, the country of one of the first prize winner” said Luisa Ferreira, economic advisor at the Institute. The Social Innovation Tournament is organised by the EIB Institute. 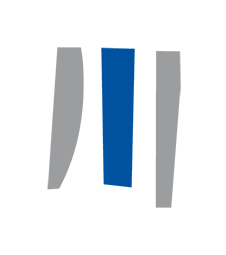 The Institute is part of the European Investment Group and promotes European initiatives for the common good. The Tournament was open to individuals or teams from (or residing in) the EU Member States submitting proposals to be implemented in one or more of those countries. It was open to both not-for-profit and for-profit organisations, young entrepreneurs and social enterprises, corporate responsibility departments of private sector companies of any size, NGOs and government or local government entities and university communities.